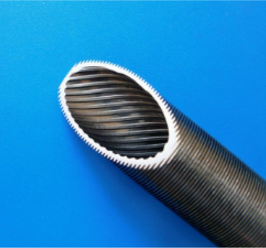 We provide NEOTISS™ HPT Finned Tubes, a low-finned tubular solution which yields numerous benefits for shell and tubes heat exchangers. NEOTISS™ HPT Finned Tubes is a low-finned tubular solution providing 2.5 to 3 times the external surface area of bare tubes. This yields numerous benefits for the heat transfer equipment: reduced capital cost for new equipment, reduced retrofitting cost for existing equipment, but also space, weight & structural savings. 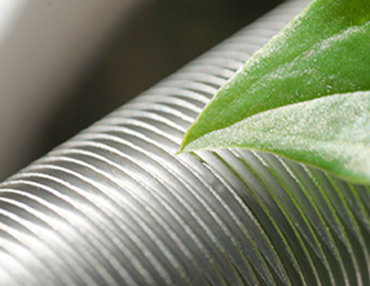 NEOTISS is a worldwide leader of low finned tubes in hard-to-form materials such as titanium, duplex steel, stainless steel and high nickel alloys. 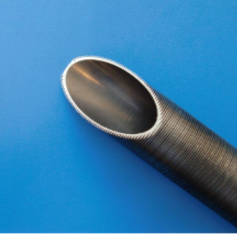 NEOTISS™ HPT Low Finned Tubes are used in shell and tube heat exchangers for oil & gas applications, purified terephtalic acid (PTA) plants, liquefied natural gas (LNG) plants, petrochemical & chemical applications, air conditioning and refrigeration condensers and evaporators. Retrofitting or upgrading with new tube materials. Meeting a stringent space or weight requirement. Provides 2.5 to 3 times the external surface area of bare tubes. This yields numerous benefits for heat transfer equipment. Reduced capital cost for new equipment. Reduced retrofitting cost for existing equipment. NEOTISS™ HPT Finned Tubes can increase the performance of an existing heat exchanger without the difficult and expensive task of building new shells, heads, nozzles, piping and foundations. Space, weight & structural savings. Reduced plot space and weight can be extremely valuable in offshore production or high elevation distillation columns. NEOTISS™ HPT Finned Tubes technology transforms large shell & tube exchangers into compact heat exchangers. More materials & alloys to select . NEOTISS™ HPT Finned Tubes is available in a wider range of alloys than traditional low-fin tubing which is restricted to soft metals. This opens a new world of opportunity for enhanced tubing in corrosive service. 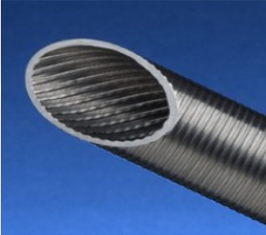 The more expensive the tube material is, the more dramatic the cost savings of NEOTISS™ HPT Finned Tubes are. Reduced maintenance & life cycle cost. 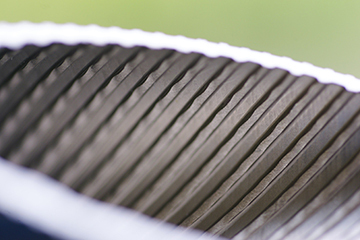 Proper material selection with Fine-Fin can eliminate costly downtime & maintenance. Example: Coastal refineries using once-through seawater cooling systems can benefit by substituting conventional copper nickel tubing NEOTISS™ HPT Finned Tubing which is immune to seawater corrosion erosion. Provides external heat transfer area enhancement 2.5 to 3 times greater than smooth tube. Offered in a wide range of fins-per-inch (FPI) densities, this product can be used with both liquids and gases, in both condensation and evaporation environments. Ideal for shell side controlling heat transfer applications. A dual-enhanced tube with external fins on the outside and a helical rib pattern on the inside. Ideal for maximizing performance with low heat transfer coefficient liquids or gases. Offered in a variety of materials and sizes. For tube side controlling applications where increased inner surface area and turbulation can improve performance in both single and two phases flow. Ideal for coaxial (tube in tube) heat exchangers with a lower pressure drop and hifher flow rates compared to a twisted tube.